So, for this Iron Craft challenge we were to make something for the holidays. It could be a decoration or a gift. I did make two Christmas stockings for charity during that time, but I also decided to make an ornament. Matt and I saw an ornament a L.L. 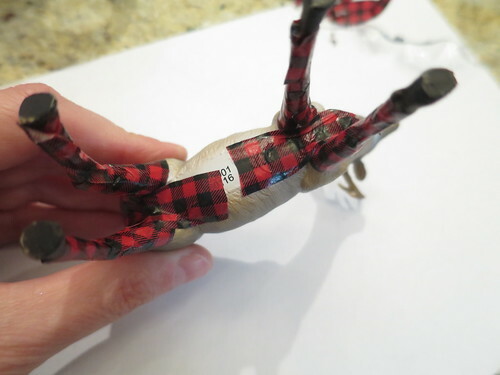 Bean that looked like a dear with its body wrapped in strips of plaid fabric. I thought it was cute and Matt said, “You could make that and use washi tape instead of fabric.” So of course, I had to try it. Yeah, it is ok, but I’m not thrilled with the results. 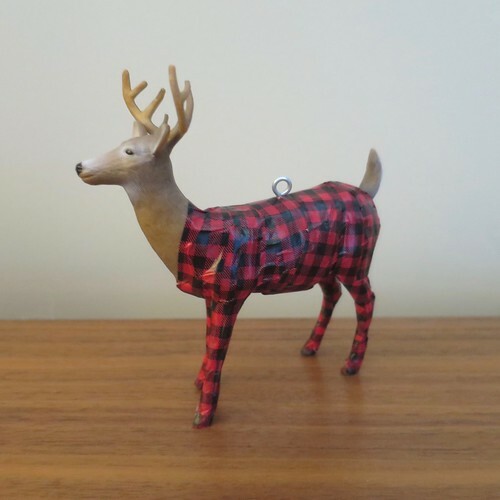 I like the idea of the deer in plaid long johns, but the tape just doesn’t look smooth enough to me. Maybe a coat of some sort of sealer will help. If you are interested in giving something similar a try, it certainly wasn’t hard or time consuming. 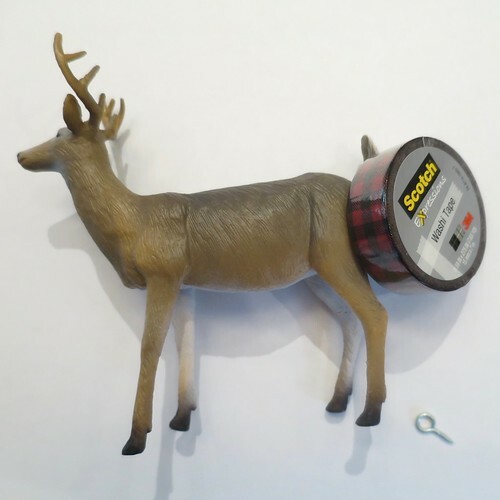 I picked up the plastic deer and washi tape at Target. (They have holiday washi tape with the wrapping paper.) The screw eye was in my stash. 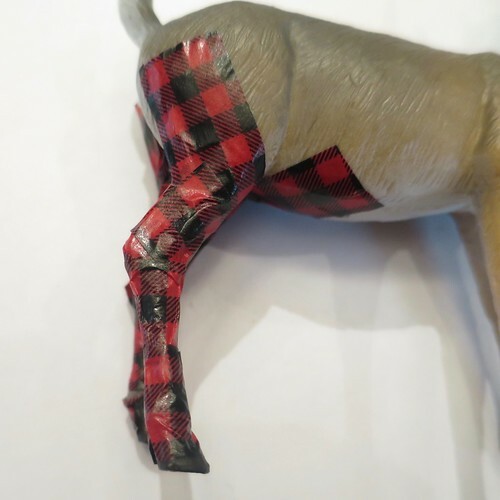 I started covering the deer’s legs with small pieces of tape, just enough to go around and overlap. I tried using on long piece and go around and up, but I got too many folds. Then I filled in the tighter spaces. Finally, I just covered the rest of the body with bigger pieces and put the screw eye in. I do really like this washi tape and might try to cover something with a less difficult shape with it. 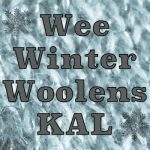 2 years ago by Kat in Challenges , Christmas , Craft Projects , Crafts , Holiday , Iron Craft , Projects | You can follow any responses to this entry through the RSS feed. You can leave a response, or trackback from your own site. Did you try burnishing it, like with the tin foil? Also, that deer would be amazing tin foiled! I did use my fingernail to press it down, but the ends just don’t stick as good as I would like. Yes, tine foiled would be amazing. I should take the tape off & start over! I think it might be the actual tape. There seems to be a sheen to this tape almost like duct tape without the extra adhesive. I will take a look at it when I go to Target next time. All of my washi tape has a matte finish and makes it really easy to stretch. I do like this project and would think the tin foil would be AMAZING. I still haven’t perfect that technique but not from a lack of trying. You might be right. 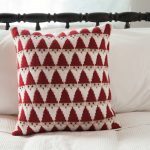 This one didn’t have a lot of stretch, but oh, I loved the pattern. I did buy a snowflake version that I think is matte that I’ll have to check out. This tended to rip instead of stretch.